Shenzhen is a border town, tech hub, factory floor and somewhere Dutch architect Rem Koolhaas has labelled a “generic city”: malleable enough to change its form with the times. This Pearl River Delta megalopolis is China’s richest city, having grown from 30,000 inhabitants in 1980 – when it was designated the first special economic zone – to almost 12 million today. With Shenzhen’s mushrooming size (the fourth-highest megatall in the world, the Ping An Finance Centre, glares across the river towards Hong Kong) comes ballooning ambition, because Koolhaas’s generic city is now eyeing developments in art and design. 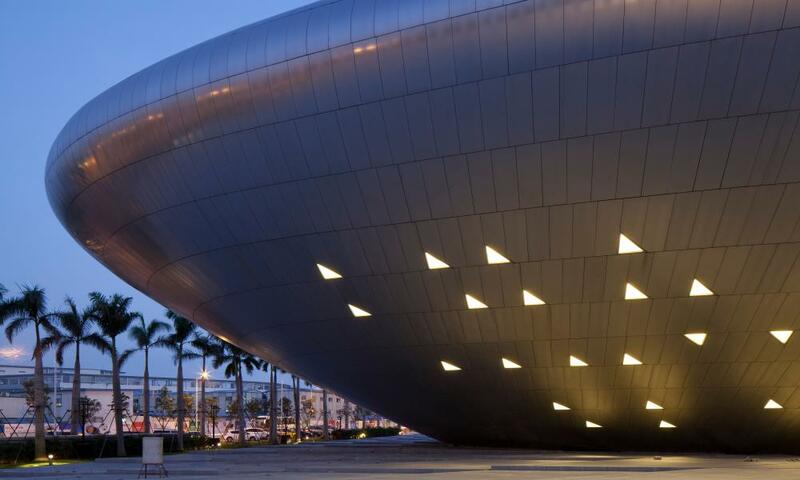 On 2 December, Design Society, an initiative spearheaded by China Merchants Group and London’s V&A, will open The Sea World Culture and Arts Centre, on the waterfront in Shekou, a gentrifying port district in western Shenzhen. The cultural centre’s design is the brainchild of Pritzker Architecture prize-winner Fumihiko Maki and is an angular white-and-glass behemoth, with cantilevered levels, amid a landscaped park. Its mission: to be a lightning rod for cutting-edge design in China. Opening exhibitions will focus on design as a conduit to an improved society – including Values of Design in the V&A Gallery, which will showcase exhibits from the London museum. “Once the ‘factory of the world’, Shenzhen is now a metropolis with thousands of manufacturers and design companies that share the ambition of moving from a ‘made in China’ phase to the so-called ‘created in China’,” says Luisa Mengoni, head of the new V&A gallery. “There is a strong ambition at city level to make Shenzhen a global player in the field of design,” she adds. Shenzhen is “the birthplace of China’s modernisation over the last 40 years”, says Ole Bouman, director of the Shekou Design Museum, which is part of the centre. In 2008, it was named a Unesco Creative City of Design and each year hosts high-profile design events, including December’s Shenzhen Biennale for Architecture and Urbanism. With the opening of the centre, Shenzhen will gain a new Unesco Creative Cities Network Center. Shenzhen’s other creative zones include the OCT Loft across town, a palm-studded district of former industrial buildings turned contemporary art park. Visitors sip tiny coffees at arty cafes (Whatever Cafe), buy design trinkets in fancy boutiques (IM Loft Shop) and wander around high-ceilinged galleries such as the OCAT Contemporary Art Terminal. Nearby is the spaceship-like OCT Creative Exhibition Center, showing landmark exhibitions. 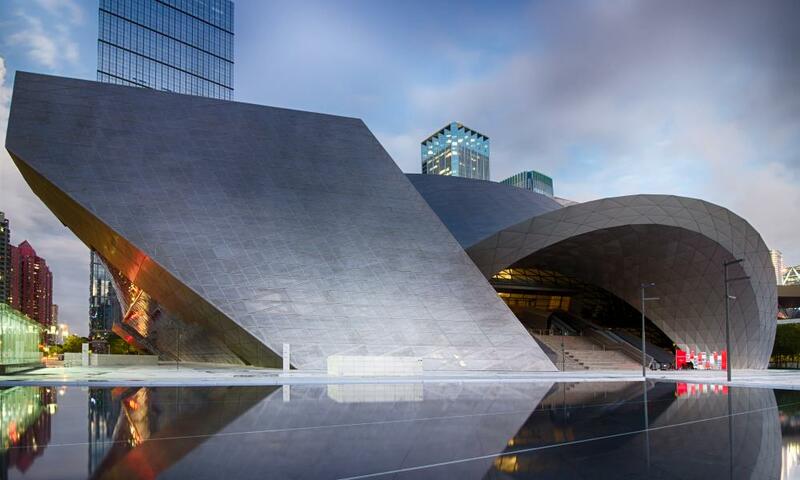 Further into the heart of Shenzhen’s dense financial district is the just-completed neofuturistic, cloud-like Museum of Contemporary Art and Planning Exhibition, designed by Austrian architect firm Coop Himmelblau. Shenzhen is now so design-friendly it’s been chosen as the inaugural destination for a three-in-one Muji store, hotel and restaurant – a spin-off of the Japanese homeware brand – slated to open by the end of this year.